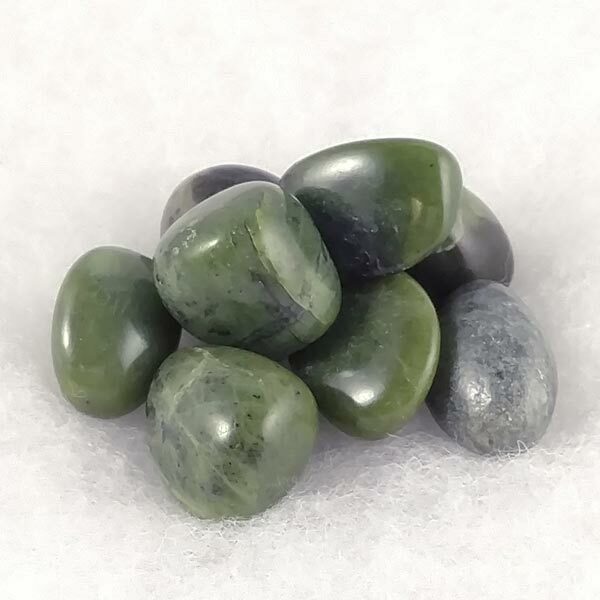 Tumbled Green Jade (aka Jadeite) healing gemstones in lovely shades of deep green. These have come from western Canada. Each color has its own special vibration. Green: long life, true love, wisdom, serenity, practicality. Opens our qualities of mercy and compassion for all beings and inspires the awareness of the oneness of all life. Opens and heals the heart, frees us from anger, selfishness and greed. Encourages our service to others or to our planet. Soothes emotions, heals hips and kidneys, aids in moving along one's life path. Promotes trust in our God/Goddess and encourages giving to others. Jade has a Monoclinic crystal system and is in the mineral class of Chain Silicates. It occurs in a wide range of colors from almost white, green (most common), reds, yellows, blue, lilac and violet (known as lavender jade). Originally, Jade was the common name for both Jadeite and Nephrite. The two are similar in their appearance and properties, and are known mainly by their separate names today. Nephrite is Jade with a Quartz crystalline structure and Jadeite is comprised of primarily Jade. As with most gemstones, the best benefits are from direct contact with the skin, worn as a pendant, bracelet or laid upon the body. When utilized for dream work, it is best when placed on the forehead in the evening. Jade assists us in recognizing ourselves as spiritual beings by encouraging self-realization. When brought into our life it helps us handle things in a playfully spontaneous manner. Jade seems to wake up our inner images and dreams and provides a pathway to hidden inner knowledge. A great provider of balance, it can bring calm when we're irritable, or energy when we're feeling lazy or sluggish. Jade helps to stimulate ideas and makes us ready to act. While we physically rest, it provides spiritual activity that assists us in transforming decisions made during spiritual contemplation into conscious action without hesitation. 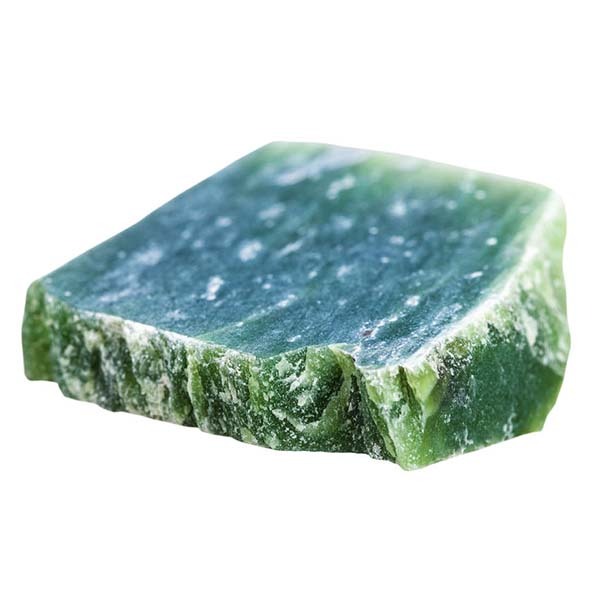 Jade, through accounts in many cultures, stimulates the function of the kidneys by balancing the metabolism of water, salts and acid/alkali ratios. It also stimulates the nervous system which improves and accelerates our response and reaction times. Jade benefits all zodiac signs. It's Energy is Receptive, its Plant is Venus, and its Element is Water. It is helpful for those in the fields of Chiropractic, Communications, Farming or Gardening, Management, and for Midwives, Artists, Musicians, and Politicians. Jade has long been used in China carved into a butterfly. When worn, it is said to draw love, or when given to another it is with the hope of obtaining love and is a common wedding day gift from the groom to his bride. A common use across many cultures is providing children an amulet to protect them from the dangers of childhood diseases. Egyptians, Mexicans and Chinese had the common practice of placing a piece of Jade into the mouth of those who had passed to keep them from harm in their after life.